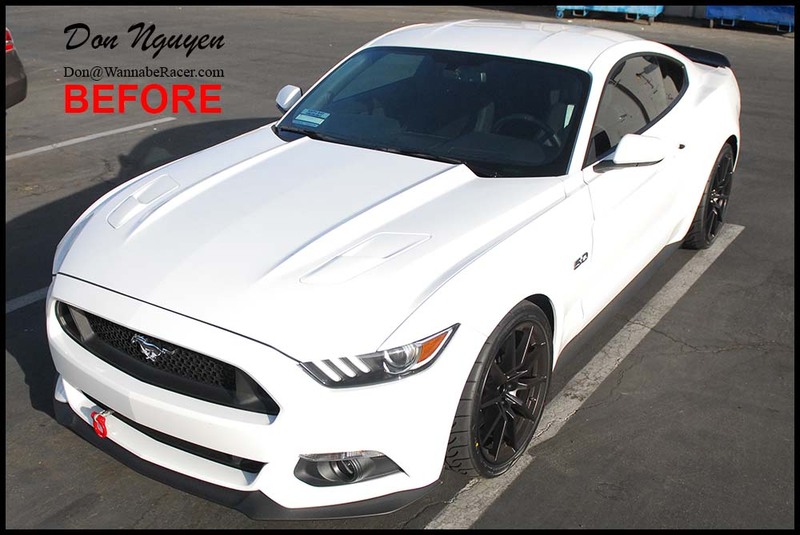 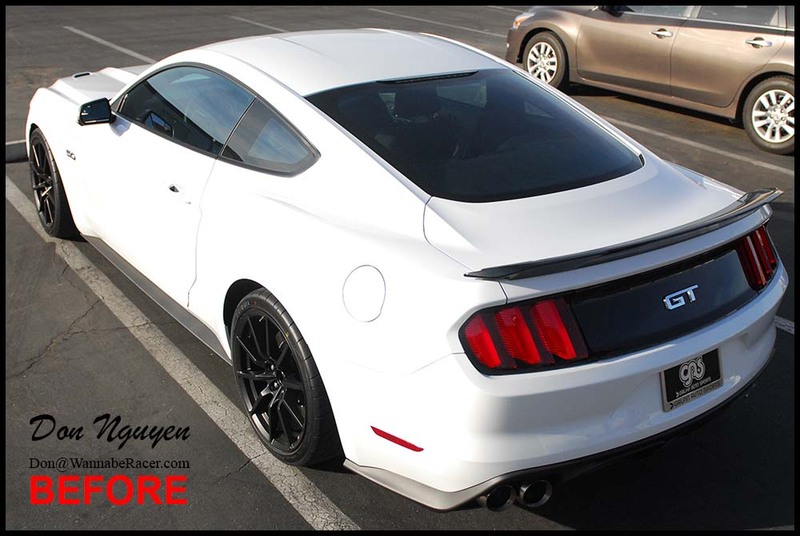 For this white Mustang 5.0 GT coupe, we custom cut a set of blue racing stripes with black pin stripes to match the factory style look offered for these cars. 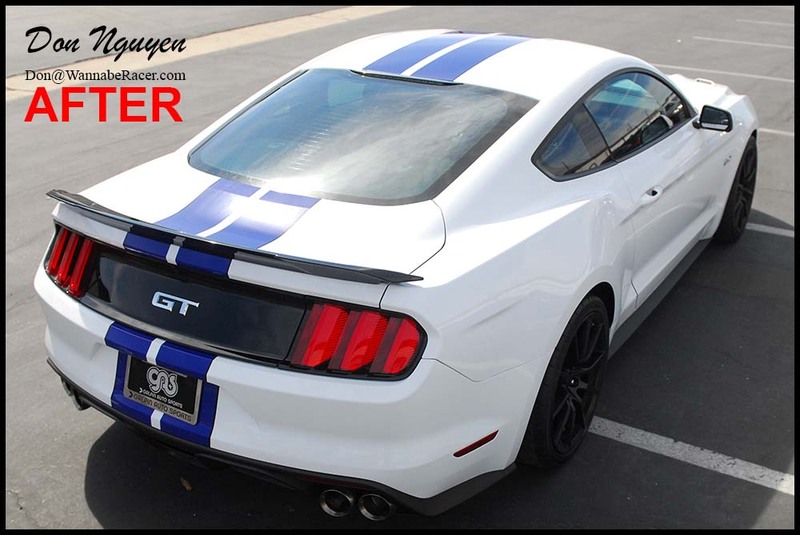 The owner of this car was from Palos Verdes Los Angeles and came out to us in Anaheim Hills Orange County to do the custom installation of the stripes on his car. 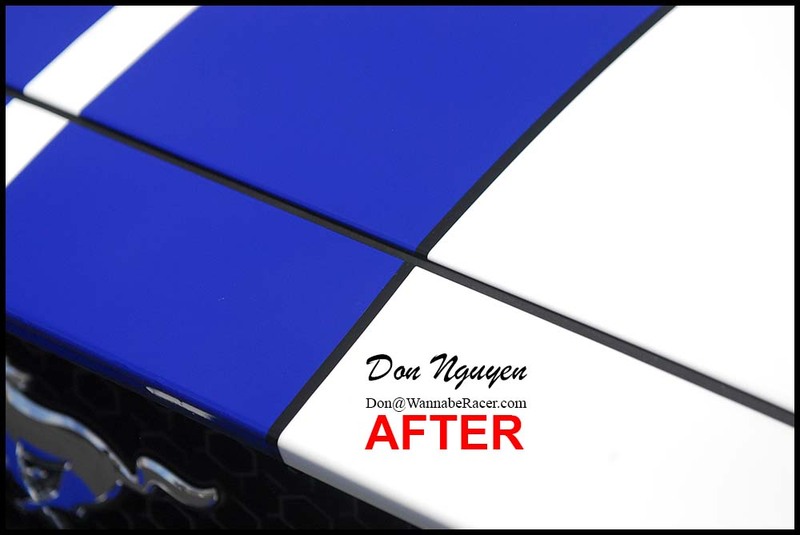 The stripes went from the bottom of the front bumper all the way to the back of the rear bumper. 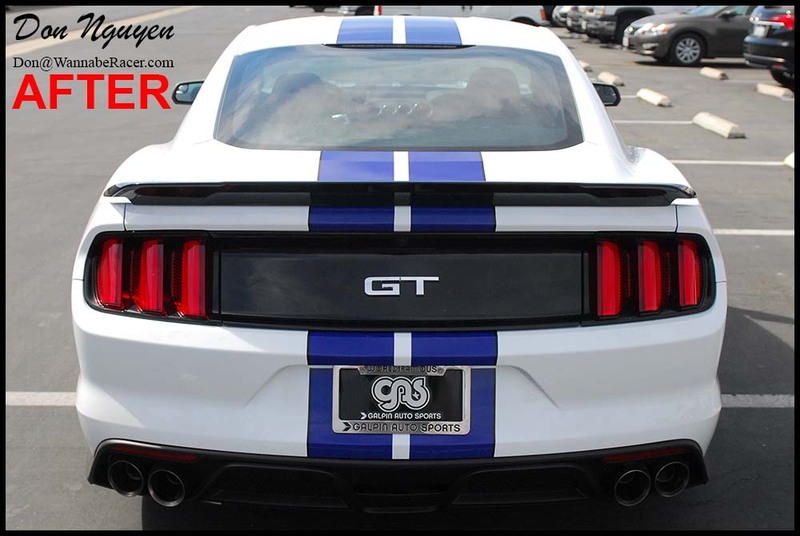 The blue color we ended up going with was a perfect combo with the white color of the car and adding in the black pin stripes gave it a subtle and clean finishing look.